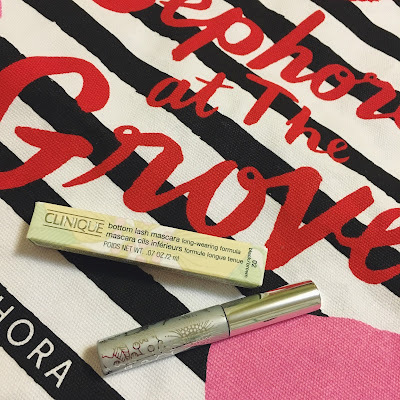 Earlier this month, Sephora finally opened its doors at The Grove. With The Grove being one of the closest malls if not the closest from where I live, it was super exciting that Sephora opened up in place of the old Forever 21. I happened to stop by with my friend Jane one random Saturday and ended up bringing home two mascaras. When the Roller Lash mascara from Benefit first came out, I really wanted to try it out. However, I am actually not used to paying anything more than $15 for a mascara so I couldn't get myself to buy the $24 mascara. While browsing, I found the mini size of it and I somehow convinced myself that $12 for this mini roller lash is okay (which is funny because the mascara I've been using lately before I got this was a $6 mascara from The Faceshop). What do I think about this mascara? Not bad, not bad at all. To be honest, I thought it might not live up to the hype/advertisement but it turned out to be a decent mascara. It didn't say that it was a waterproof mascara but I haven't had too much problems with it smudging. 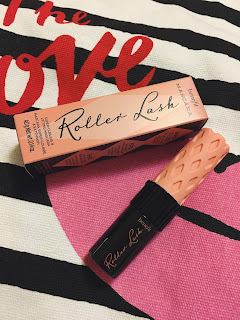 It definitely helped lengthen my lashes but it wasn't that great with the curling part. 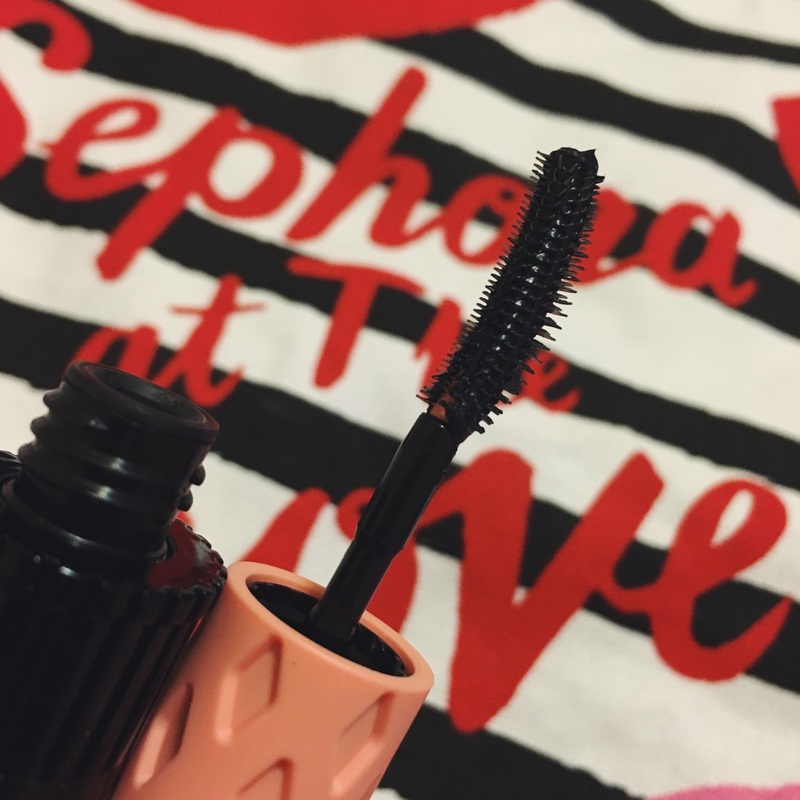 I definitely love that this product doesn't have a strong scent, for I have become very sensitive to the smell of mascaras over the years. Would I purchase this product again? Possibly. The second mascara I picked up that day is Clinique's Bottom Lash Mascara. It is said to be a long-wearing formula mascara but not waterproof. It also says that even with warm water, it can be cleansed pretty easily. This product comes in two different colors, black and brown-black. I purchased the brown-black thinking it would be more natural, but I wouldn't have minded the black one. And I actually really like this one because the wand is very small and it was designed to help you get to the bottom lashes even in the inner and outer corners of your eyes. I have almost no bottom lashes but this has definitely helped define my eyes and I would most definitely purchase this again. Every September/October, there is a Korean Festival that happens in the heart of Koreatown, Los Angeles. There are many things from a stage full of performances and entertainment, an area full of food, and an area full of different businesses that come out to sell their stuff. And of course, there would be areas with Korean makeup products. My friends and I stopped by the Nature Republic tent and picked up cleansing oils. It was BOGO and my friend Jennifer bought herself one and got the free one for me. I am typically not a cleansing oil user, because I never really liked the feeling of the oil on my face. But because Jennifer got this for me, I decided to just give it a try. I still cannot say that this is my favorite form of cleansing product but I definitely can see why people like it so much. Instead of pumping the oil on my hands as most people would do, I just pump about two to three pumps on my cotton pad and just wipe my face with the cotton pad. Then I take warm water and rinse it off while mildly massaging my face. And then of course, I finish off with face soap/foam cleanser. 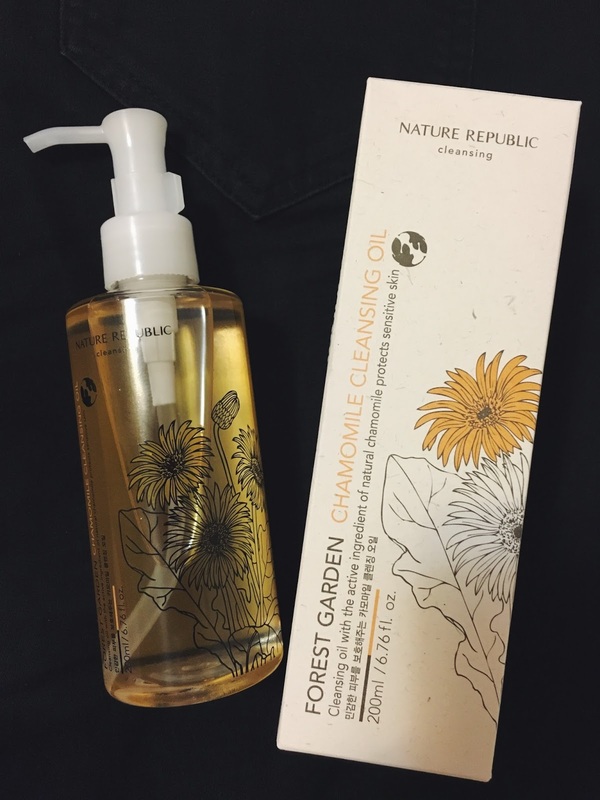 If you're looking for a cleansing oil for your face, try Nature Republic's products. It is very affordable and it works pretty well. I have been using Versace's Yellow Diamond for quite some time now, but I have discovered some other perfumes that I wanted to try. My friend Chelsea, who is a VIB, had some discounts available and asked me if I needed or wanted anything from Sephora. After some thinking, I decided I wanted a rollerball to carry around with me. 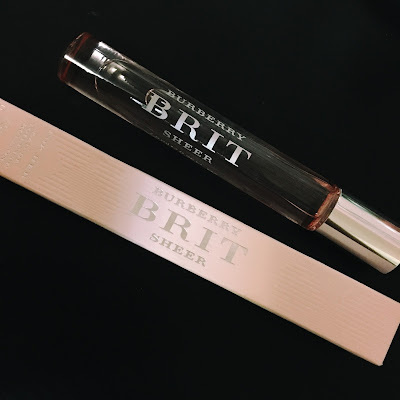 Burberry's Brit Sheer Eau De Toilette, which I discovered really randomly at the mall about half a year ago or so, was lingering in my mind. It smells amazing and I am so glad that I chose this one over any other scent. It is definitely a different type of scent from the Yellow Diamond but I absolutely love it and I may consider getting the full sized one in the future because it just smells so good. If you know any other perfumes that are amazing, let me know so I can go check them out! Born in Seoul, living in Los Angeles.